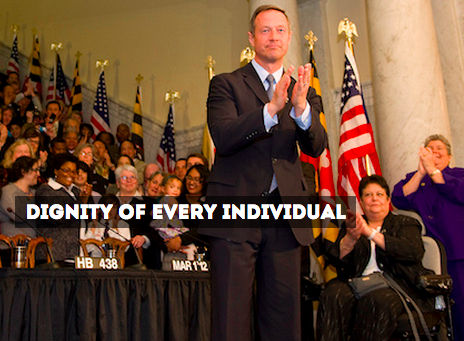 In a Crabwrapper Exclusive… Martin O’Malley’s announcement was leaked this morning . We have obtained what appears to be an early draft of Martin O’Malley’s remarks announcing that he will be seeking Presidential bid in 2016. Most media, including the Baltimore Sun and the Washington Post have indicated that O’Malley plans to make a formal announcement about his presidential aspirations on May 30, 2015. This document was found under a table at The Cat’s Eye Pub in Fells Point by an employee after closing last night. The employee, who requested anonymity, e-mailed the Crabwrapper offices early this morning. According to numerous sources, O’Malley and several presumptive campaign staffers were at The Cat’s Eye last night. Former Maryland Governor, O’Malley, has not been shy about hinting about a possible run for the White House in the 2016 Presidential Election, with most political observers being skeptical about his chances against former Secretary of State, Hillary Clinton, who is the presumptive Democratic candidate. We cannot unequivocally vouch for the authenticity of this speech, but it appears that it was written by the former Governor, himself, and has been going through an editing process by an hitherto unknown advisor named Kevin. The former governor’s spokesman could not be reached for comment.